Today the Save St. Paul Coalition sent a letter to all the candidates of Liberal Party of BC requesting a statement of their respective plans for the renewal of St. Paul’s Hospital. The Coalition will also send request to the candidates of the BC NDP and will post all responses on our website. The Save St. Paul’s Hospital Coalition comprises organizations and individuals dedicated to ensuring that St. Paul’s Hospital remains in its current location on Burrard Street in Vancouver and that adequate consultation is carried out before any changes are made to the hospital. Given that the current leadership selection process for both the BC Liberal Party and the BC NDP is underway, now is an appropriate time for candidates to explain their plans for the renewal St. Paul’s Hospital to their respective party members and to the voters of British Colombia. Providence Health Care (PHC) has announced plans for the renewal St. Paul’s Hospital in 2002. St. Paul’s Hospital is an important health care service provider in both in the Downtown peninsula and for the entire BC Province. 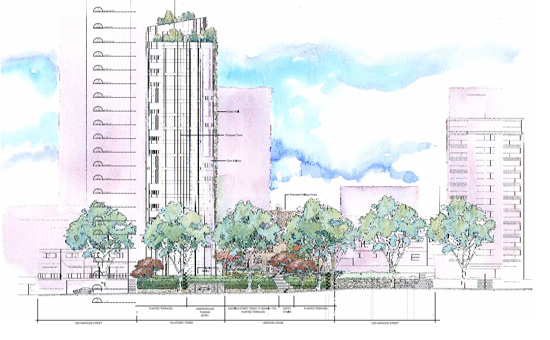 PHC has developed a draft concept plan for the renewal of St. Paul’s Hospital on the Downtown Burrard St. site. We are an attaching a copy of the PHC draft concept plan for your consideration and study. Will you continue the government’s current position of support for renewing St. Paul’s Hospital at its present location? And further, will you take action to ensure the renewal of St. Paul’s Hospital as laid out in Providence Health Care’s concept plan is completed by 2020? The Coalition is requesting a written response to explain your position on the renewal of St. Paul’s hospital. The Coalition will be requesting responses from all the candidates seeking the leaderships of the respective organizations and will post the responses them on our website. I am getting ready for the Chinese New Year Parade. I am heading down to China Town with Malli and we are going to help COPE elected officials give out good luck for the new year. Here is a little video that I made last year and I will take photos today of all the local luminaries and will post them here latter today. Update: I am back from parade and it was a lot of fun. The rain held off for about half of the parade and then it was just a drizzle. It was not as cold as past years and every one seemed to be pretty happy and having lots of fun. I am at the SCARP Symposium, Meteropolis: Growing Just or Just Growing and it has been a pretty interesting day thus far. I have gotten many new ideas on what to be reading over the next year. Nathan Edelson a former planner gave the keynote address at lunch about some of the history of planning in the Downtown East Side in Vancouver. It was inspiring to hear some of the planning done by Nathan Edelson over his kitchen table back in the day before the Vancouver Agreement, The Four Pillars Plan and Insite. Anyways, I head Nathan speak before the Olympics and I thought I posted it here as it has only had 40 views in a shameless attempt to boost my page views. Did you know that the City of Vancouver’s transportation priority is to put the pedestrian first? Walking could be one of the most important forms of transportation for more because it combines fitness, which promotes wellness, but and it is also a sustainable form of transportation that will allow are allowing our city to grow economically. In our cultural it seems that time is becoming more important as folks struggle with family responsibility, work stresses and the need to live an active lifestyle. Paradoxically, by slowing down a bit and making the time for walking – one gains time. For example, I know myself that the eternal struggle to find the time and the energy to exercise at the gym is usually the one activity in the day that does not consistently happen. Given that a trip to a gym can be typically a two hour block of time, it means one has to either get up early in the morning or making time at the end of the day for this activity. People are juggling numerous responsibilities to their family, to their work and other volunteer activities and for many exercise is the priority that falls off the back. On a positive note, I have discovered that I can get a lot of exercise throughout the day just by walking from one destination to the next. I was surprised how little the time difference was between distance travelled using transit and walking. For example, I live in the West End and my kids go to school in Kitslano (no French immersion downtown) and I typically accompany them to and from school. We take the bus and for the most part it is a good time that I enjoy spending with my kids. Using public transportation with your kids always provides “ teachable moments” where we can have shared experiences to discuss (there is always some drama being played out on the bus). Anyways, the difference between walking and taking the bus from our home to my kids’ school is 10 minutes. It really isn’t that much time compared to what often feels like the mind-numbing minutes spent on stationary exercise equipment; maybe I need to download some better music. 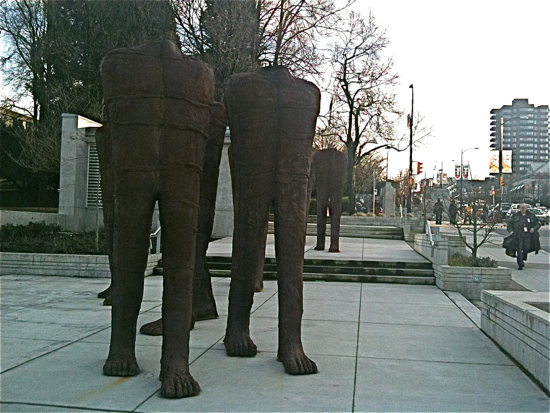 The City of Vancouver is starting to get its collective head around walking. 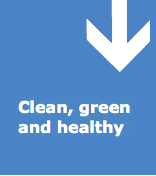 Check out this page on the city’s websiteClean, Green and Healthyand Park Boards websitesStep Out and Walk Program that have info about different walks of interest in the city. Another great benefit about walking is it is almost free. A few observations from my own walking experiences. 1. You can even smile at people and say hi. (Disclosure: I am not so good at this but my wife is awesome at being friendly). 2. People who walk often have smiles on their faces. 3. One can actually have conversations with strangers and make smart observations about stuff. (People are pretty polite even with the banal issues that I sometimes talk about -at least they pretend to listen). 4. You meet a lot of your friends and take little moments to catch up. (This provides a feeling of being connected to one’s community). By making improvements to the city’s built environment to promote walking achieves a number of concurrent goals including reducing green house gases, promoting sustainable transportation, promoting fitness, encouraging active lifestyles and finally the promotion of health and happiness. This may seem like “nanny state” stuff to the more grumpier of you out there, but it really is going to way of the future. Our bodies need to be physically active. Many of chronic diseases that are the rise in our society such as heart disease, high blood pressure and diabetes are related to sedentary lifestyles and our diet. If we can make the finer details of the city more interesting, it will encourage more walking. The pedestrian’s environment needs to be safe, engaging and fun. Jan Gehl, the Danish architect and city planner speaks of the 5 km/hr scale. Streets and public spaces look different from the 60 km/hr of the car to the human scale of walking of 5 km/hr. More and more now we need our city’s built environment to be designed for people walking. Commission Woodcock has asked me to read this letter to Mayor Council tomorrow for the discussion on the next Capital Plan. “ I join many residents of this city in applauding city council and the mayor’s office for responding to the need for a seniors centre in Southeast Vancouver. For many years community advocates such as Lorna Gibbs, John Pawluk, Tom Holmes and Keith Jacobson have spoken on behalf of the 16% of the city’s seniors who live in SE Vancouver. This area of the city has many lower income seniors as well as English as a large second language population of seniors who need a community gathering place where they can socialize and have nutritious meals. The community has sought a senior’s centre in the area since the mid 1990’s. The City and Parks Board supported a centre at Killarney in 2001, however a provincial election changed the political landscape and the city’s funding went elsewhere. Since then there has been a history of efforts by park board and the city to locate adequate capital dollars which could then be leveraged to acquire provincial and federal government matching funds to build this long overdue facility. In 2009 the park board expressed its support by passing a motion asking staff to investigate siting options at the existing Killarney community centre for adding 10,000 sq. ft. of program space to accommodate a seniors centre. Commissioners hoped that if park board could provide the land then the costs of building and operating this facility would be reduced significantly. Yesterday I happened to be at Cambie and Broadway and noted the piece there. The walking figures seem to work well in this location, but in English Bay it would be particularly special given how many pedestrians would be able to “walk by” this sculpture. It would certainly speak to them! At first I thought perhaps City Hall had something to do with the location change and had the installation moved from the West End so I called Vancouver Park Board and spoke with a couple of art programmers. They informed me that The Vancouver BiennaleBiennale’s site organization was responsible for the move and had negotiated the new location with Translink and Cultural Affairs at the city. 1241 Harwood St before Urban Design Panel Today at 4:15 pm at City Hall 3rd Floor. At the Urban Design Panel the proposed development project of 1241 Harwood will be reviewed today Wednesday Jan. 26 at 4:15 pm. The Panel functions only as an advisory body and does not have any decision making authority, but the Design Panel is held in very high regard both by the Planning department and Mayor and Council. If a project is not supported by the Panel the project is usually withdrawn for revisions which starts the whole public consultation process over from the start. Case in point is the development application of 1241 Harwood st. (DE414280), was at the design panel back in July 2008 and the project was “not supported”. 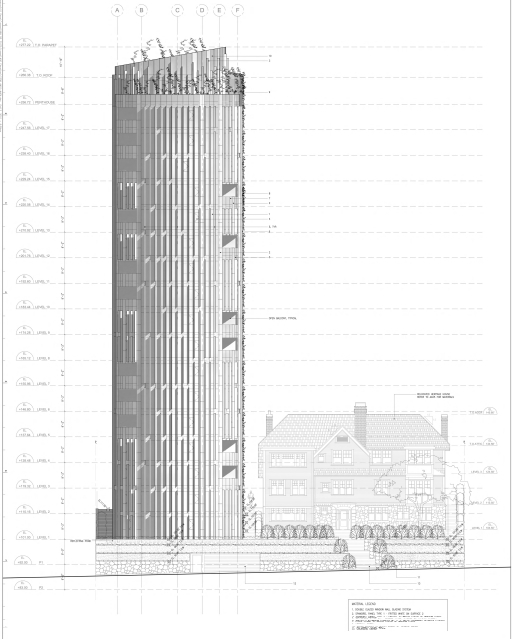 The Panel “…was uncomfortable with the massing of the tower and thought it seemed to loom over the heritage house….” . Basically the majority opinion on the Panel was that the proposed project was out of context with the site. The propose project is complicated as it is a Heritage Restoration Agreement (HRA). On the 1241 Harwood site there is a 1903 mansion called Eastwood Place. The West End back in the day use to be the tony neighborhood of Vancouver. Many of the city’s elites built large homes with gardens in the West End. Now Eastwood Place is home to 7 rental units. Also on the 1241 Harwood site is a rare example of a 100 year old Tulip tree which is thought to be the largest example of its type in Canada. Part of the reason for the unusual massing of the 2008 proposed project on the site was a result of an attempt of the architect to protect this tree. In Vancouver, HRAs are funded by the City of Vancouver (COV) through density bonusing. Developers who agree to restore a building that has a heritage designation are given density to pay for the expenses of the restoration. The challenges of the 1241 Harwood project are that the site of the heritage house and the tree necessitate a very complicated and unusual massing of builds if the tree is not be cut down. If the tree is cut down, it would dramatically change the dynamics of the massing of buildings on the site. The architects of the project seem to want to save the tree. A proposal was put to Vancouver City Council last summer requesting a density bonus for saving the tree. Unfortunately the trees root ball is on two sites and the owner of the other site does not want to be encumbered by the heritage designation of the tree for future development possibilities. This was an unusual request to Council and it is unclear if they would have granted a density increase to save a tree if it was all on one site, but given the root ball straddled two sites Council did not agree to exchange density where the future of the tree was not secure on one site. It will be interesting to see how the Urban Design Panel views the resubmitted 1241 Harwood proposal. From the renderings of the project it still seems to be a very awkward placement of buildings on the site where the newer building looms over the older Eastwood Place. Update: 5:43 pm, City Hall after Urban Design Panel votes: UDP supports the project unanimously with comments about the location of the parking entrance on Harwood Street, design consideration on the entrance of the parking and some comments about location of the tree. I will post the minutes when they are posted. 1241 Harwood St. at Urban Design Panel,Today at 4:15 at City Hall. The Development Permit application at 1241 Harwood Street (DE414280), has been scheduled for review by the City’s Urban Design Panel on Wednesday, January 26, 2011. This item is currently listed as first on the agenda, and should begin at about 4:15 pm. Public attendance at this meeting is permitted, however, the public may not address the Panel. This meeting will be held in Committee Room No. 1 (City Hall, main building, 3rd Floor, 453 West 12th Avenue). More information on the role of the Urban Design Panel, can be found at the following link on the city’s website. If you do not have access to the internet, or have any questions, please feel free to contact me. As a result of my involvement with the West End Residents Association (WERA) as a former President and now as a Director I have had to think long and hard about proposed development projects in the West End and in the whole city. Very early on in my thinking on proposed development projects I realized that it would be very important to have objective criteria to judge projects that would allow consistency. One of the traps that community groups can fall into is being resistant to change, or not having a proactive concept of what kind of change they are advocating for. A position that I have advocated for publicly is that any increase in density due to rezoning should respond to critical issues that are impacting the city. The most important issues for Vancouver are how is it going to be ecologically and economically sustainable while continuing to be a highly livable city. The questions that I ask myself when examining a proposed project are: “How will this project create more affordability? How will this project reduce the city’s carbon footprint? How is this project contributing to the city’s livability?”. While very few project meet a positive review based on the criteria of livability, affordability and ecological sustainability at some point some projects will make a contribution in these areas. This goal of this position is to influence development to create a positive change in the city. In Vancouver there is this false dichotomy between being “pro-development” and “anti-development” and if you don’t fall into one these camps one can be villainized by the forces of one of these camps or both. This veiled threat at the community level that if anyone speaks positively about increases in density, which conform to smart growth practices, will be perceived as being “pro-development”, is an impediment to responsible dialogue on how the city is going to respond to such critical issues as climate change and affordability.